The clarinet, with its soothingly beautiful tone, is one of the principal instruments in the band. The clarinet's sound is produced as the stream of air hits the tip of the wooden reed on the mouthpiece, causing it to vibrate. As the clarinetist presses the various keys the distance the air must travel before escaping is altered, making the different notes. As the distance increases, the tone gets lower. 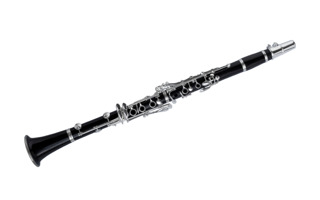 Clarinet is popular in a lot of styles of music from classical to jazz to pop. Its beautiful smooth tone is often heard in ballads but has also been popular in fast-paced dance music. Clarinet isn't really difficult. Like all the instruments it just takes a little practice to learn. The clarinet has a very pleasing warm sound. 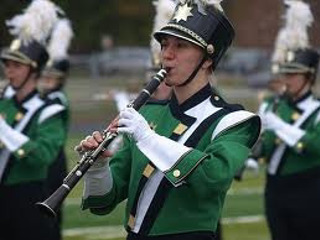 Clarinet is one of the featured instruments in the band. Some of the most beautiful music has been written for clarinet. Clarinet is not hard to learn. Once you can play clarinet you can easily learn to play saxophone and flute. Clarinet isn't heavy and is easy to carry. You can create fun duets, trios, quartets and bigger groups with other clarinetists and woodwind players. We serve both Memphis and Nashville, as well as surrounding areas. More questions about the clarinet? 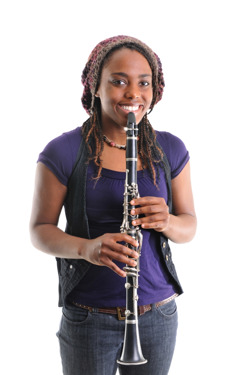 Contact Amro's clarinet experts here.